I'm a Staff member at the BSMG. I do a lot of things, from keeping order, helping people, making guides, coding and approving plugins, to hosting services for the community, including BeatMods, ModelSaber, Assistant.moe, and a repository for maps. 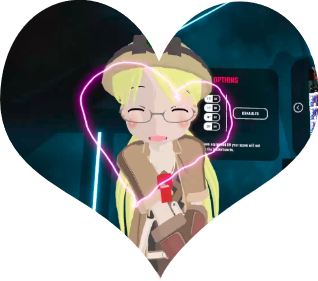 I love Beat Saber, and more than anything I love the amazing community that was built around it. In this journey from the first post I made in which I tried to help someone with their mods, to having the honor to play an integral part of exalting the scene how we've done, I've always loved doing it, and still love it more than anything. Get access to my private Beat Saber avatars, as I release them.